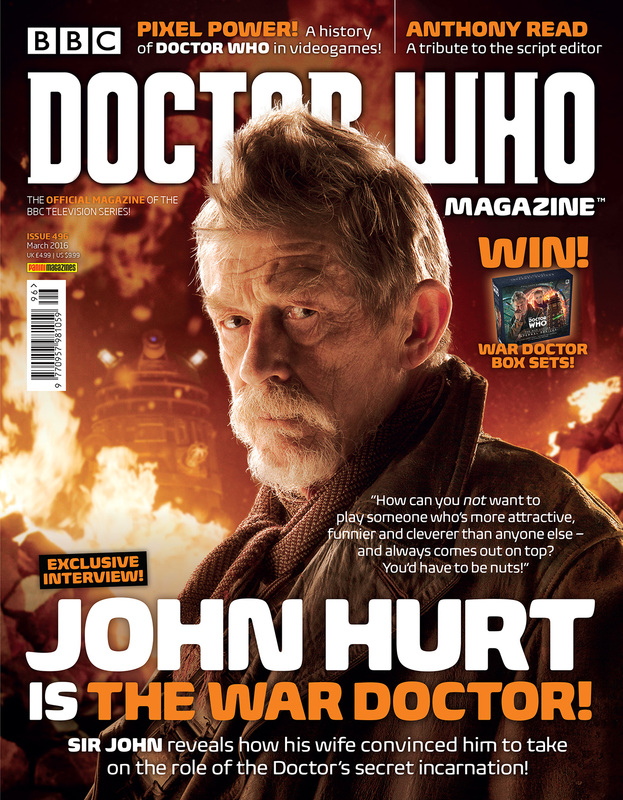 DOCTOR WHO MAGAZINE PRESENTS AN INTERVIEW WITH THE WAR DOCTOR – SIR JOHN HURT – IN ISSUE 496, OUT NOW! Doctor Who Magazine exclusively interviews Sir John Hurt, who played the mysterious incarnation of the Doctor in 2013′s 50th Anniversary Special The Day of the Doctor – and asks him about his return in his brand new Doctor Who audio series! Doctor Who Magazine 496 is on sale from Thursday 4 February 2016, price £4.99. This entry was posted in Doctor Who Magazine, Uncategorized. Bookmark the permalink.